Mister Hemmings Traditional Abingdon Morris Dancers will be touring local war memorials on 3rd November 2018 to commemorate those who served and those who died in the Great War of 1914-1918. This year’s day of dance looks like it will be one of the best ever with 10 teams attending and the town will also be alive with music from the Yeah Baby charity music festival. Bampton : Cotswold dancers from Bampton in the Bush. We wil be starting the day at 10:45am on Abingdon Bridge splitting up into groups of 3 or 4 teams. 4.00pm Royal British Legion on Spring Road. The 2017 season is about to get underway. 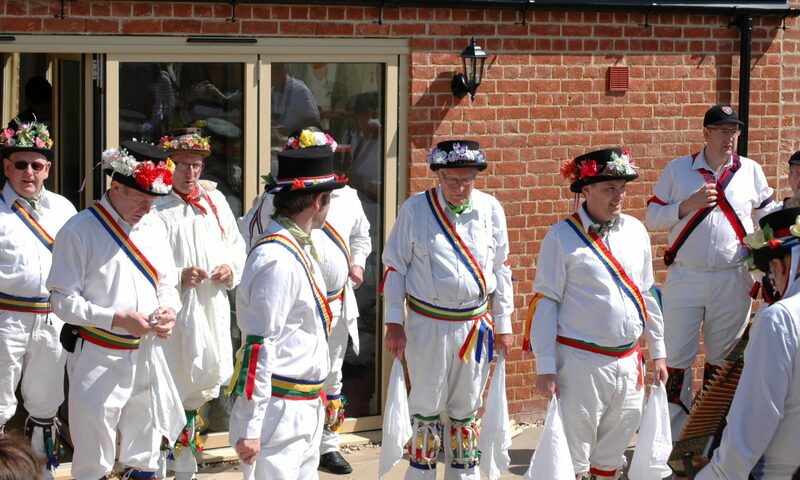 The first event of the year will be the Oxford Folk Weekend, where we will be dancing on Saturday 22nd April. Our first spot will be at the Pitts River Museum at 11:30am. You can also find us at Bonn Square at 2pm and the Bear pub at 5:30pm. Mister Hemmings Day of Dance has been moved this year to the later date of July 1st. The previously traditional date of the closest Saturday to Tom Hemmings Birthday in early May is a busy time for morris sides making it harder for guest sides to attend. 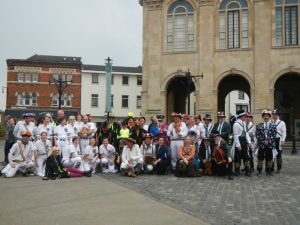 We hope that the new July date will allow more guest sides to join us dancing around our historic market town of Abingdon-On-Thames. The big news this year is that Mister Hemmings has changed its constitution to allow members from any gender. For the first time in history, female dancers may dance the Traditional Abingdon dances in public. Three very keen lady novices have joined us and have been learning many of the dances during the last few months adding elegance and style and keeping us older seasoned men on our toes. They are excitedly looking forward to their public debut at The Oxford Folk Weekend. During the rest of the summer we have regular Monday night dance outs in Abingdon and nearby villages. Please check the diary for more details. Splash of Pink is the charity raising funds for breast cancer.